Most of us – maybe even all of us – enjoy escaping our world when we pretend we’re behind the wheel of some fast car, one that either chases the bad guys, or one that’s trying to get away from a potentially dangerous situation. Enter the movies, enter the car chase. Here are a few of TheCarBuyingGroup’s favourites! Movie buffs and those who enjoy a good old fashioned car chase will tell you they bring back sweet memories. Bullitt (1968) – Steve McQueen often played the tough guy, the hero behind the wheel. Not only a good actor no, also a great real-life racing car enthusiast who looked totally natural behind the wheel. A Mustang GT 390 has not looked so fierce since Lieutenant Bullittchased down the bad guys on the streets of San Francisco. The French Connection (1971) – When you have New York cops and heroin smugglers fighting it out, expect a wild car chase or two. Detective Doyle has to outsmart a killer in an elevated train from his 1971 Pontiac Le Mans. The action sees various crashes – albeit unplanned – from stuntmen who mistimed their entrance into the chase, and instead of missing Gene Hackman’s car, they crashed into it. Great viewing is guaranteed during the two-and-a-half minute chase, even though it feels much, much longer. Mad Max II: The Road Warrior (1981) – In a post-apocalyptic world where only the tough will survive and where fuel is of the utmost importance, cars, motorbikes and a fuel tanker are all blown to smithereens by bandits and other bad guys. The intense 20-minute chase at the end of the movie still rates as one of the most exciting in movie history. The Rock (1996) – Destruction on a grand scale helped make the chase in ‘The Rock’ so memorable. Sean Connery and Nicholas Cage – and various policemen – helped ensure a six-minute scene of action not to be forgotten. Connery smashes through everything in his path, which includes taxis, power-lines and even a San Francisco streetcar. And when Cage’s character can’t pursue his chase, what does the man do? He simply takes another stolen vehicle to further destroy what lands in his path. 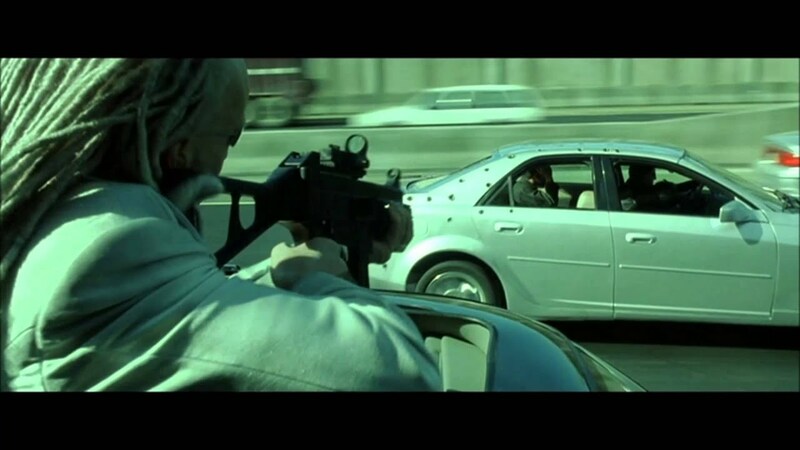 Ronin (1998) – Narrow city streets, French Riviera coastal drives and tunnels set the scene for some wonderful car chases as mercenaries take one another on. Throw an Audi S8, Peugeot 406 and BMW 5 into the mix and witness some spectacular chases. The brief case that sets off so much of the action takes a back seat so to speak as police cars, motor bikes and trucks meet their fate in thrilling, action-packed scenes. Long live the car chase!